Force the use of SSH protocol 2, a newer and more secure SSH protocol. Disable root direct log in. 1. 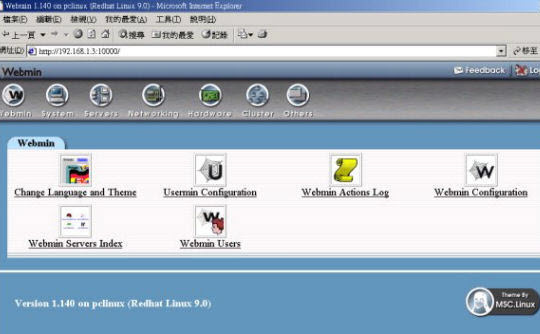 Log in Webmin as root. The following screen will appear. 2. Click the Others icon from the top menu, the window will be shown as the diagram below. 3. Click the File Manager icon, the window will be shown as the diagram below. 5. Click the Edit button from the menu bar, the following window will pop up. 8. Click on the “Save and Close” button to save the file. Now nobody can log in the Linux server as root. Anybody must first log in the server as admin and then switch to root by using the command ‘su –‘ if necessary.